I can personally attest to the self-realization of how wrong I was, how much we are currently being tricked, conned, deceived, manipulated, lied to, bamboozled, hoodwinked, screwed, fooled as the first necessary step in the spiritual journey. Once we can come to terms accepting how wrong we are as a result of being lied to and manipulated, we can then choose to continue making the same mistakes by accepting false notions and continue to be deceived through our ignorance, or we can recognize that we no longer want to be deceived, manipulated and lied to and choose to reconstruct our perception of reality in accordance with the opposite of the current lies, manipulation and deception, which is to align with the truth, the reality, what is. Only through admitting we are wrong when we are wrong can we learn what is right and stop making the same mistakes. We do not like to admit we are wrong because everyone wants to be right. Tell me one person who wants to do the wrong thing? We all strive to do what is right, and we fail often. We do not want to admit that we missed something simple or obvious that led us to make an error. It is hard to accept we were fooled, tricked and bought into deceptions. Our conditioned ways of thinking and ego-defenses prevent us from facing ourselves honestly. Many people also think if something was true then more people would be talking about it, therefore they can ignore it as even possible and not require further inquiry. They do not understand the occulted nature of reality because they are unaware. We live in a constructed perception of reality conditioned into us soon after birth when we become capable of receiving information and making distinctions. The environment we grow up in is including everything we see, hear, and experience from our own perception and that of others that shapes our ego-personality-identity construct. What we do is largely based on the views and beliefs that are conditioned into us without us questioning them to determine their veracity and validity of acceptance. It is important to want to know what is right from what is wrong, what is true from what is false, so that we can then express truth and what is right as opposed to expressing what is false and wrong. Being right is not about wanting to be right about everything that you believe in. Being right is about having acquired the accurate information and understanding to the degree that you can live in harmony and in alignment and in accordance with what is right, good, and true. Being right is not about wanting to be right even when we’re wrong, it is about wanting to have the right, good and true understanding about something as opposed to a false and wrong and bad understanding of something that will lead you down the wrong path. This is what being right is. Again, being right is not about the desire to maintain an adherence and belief in falsehoods and lies just because they are what we currently believe and allow us to feel good about ourselves. This is an ego driven to-be-right even when we are not right. To want to be right involves wanting to know what is right and dropping what is wrong and false once you understand that it is wrong and false. Being right is to live in right and not to live in wrong. 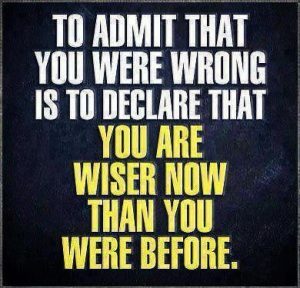 Being right is admitting we are wrong, dropping it so that we can adopt, align and harmonize with what is right. I want to have access to and propagate what is right, not simply think of myself as “being right” when I have accepted and propagated something that is wrong. I want to know when I am wrong so that I can stop being wrong. I don’t want to live in my own make believe fantasy world. I want to live in the truth of what ‘is’ reality. Some people view being right as being arrogant or ego driven. As a result of not caring about being right they do not value correctness and accuracy as being part of truth and therefore do not value truth in the way they live. Since they do not value what is right, what is correct, what is accurate, what is true and therefore what is good, then they don’t really have any issue with maintaining false ideologies and conceptions of being lied to, manipulated and deceived. 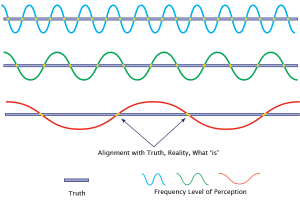 If you do not care about the correctness, accuracy, rightness and truthfulness of the things that you accept to represent the reality you live in, then you are quite content to continue to believe the fantasy fairytale of deception and lies that keeps you enslaved to prevent you from self-realization. For me it was sometime in August of 2006. I watched Terror Storm and realized there was so much I didn’t know about, so much horrible behavior going on within our own system. I could either ignore this information and continue the triviality of my life wasting my time with nonsense, or I could change my behavior to alleviate my ignorance of reality, of what is, of the truth and seek out knowledge and understanding of the truth in order for my conceptions to align with reality to become more correct, more accurate and more true. The first step is to admit that we are wrong and we have been lied to and fooled and then make a choice to change that or remain in ignorance. We are where we are because we choose the latter and take the easy road of abdicating our personal responsibility. We can grasp certain aspects of knowledge about ourselves and external reality. It isn’t merely perception and pretending reality, morality and truth don’t exist. Making decisions as we go along based on our initial limited perceptions and levels of comfort do not promote what is actually good. Our actions that please and benefit us may result in suffering to others. Truth is simple once it is understood but can seem complex due to confusion created by those who attempt to obfuscate it. Without prerequisite understandings of foundational principles, the simplicity of more complex truths can elude us. A failure to immediately grasp higher truths can lead us to believe that they are unattainable which is believing there is no truth or that it cannot be known, and this is a basis for solipsism. We then decide to believe whatever we want to based on our perceptions at the time and become arbiters of truth as “gods”. Man’s dictates of law become the basis for how we live our life. A realization must occur that we are not gods of reality deciding what the truth and morality is based on our perceptions and comfort level. Most of what we consider right and acceptable is conditioned and determined by those around us as we grow up. The truth of Natural Law can be verified through experience. It is a process in our lives. We can come to understand Natural Law by recognizing the results of the processes through which it manifests. Understanding the manifestations of consciousness, which is part of knowing ourselves and the principles of Natural Law, are the solution. We have to face ourselves and the current condition we have co-created. We are able to develop our conscience, to know right from wrong, and choose the higher moral ground over the lower easy ground. Natural Law is doing what is morally right, not what we believe and accept is right based on our perceptions. The phrase Alister Crowley coined in the Law of Thelema “do what thou wilt shall be the whole of the law,” is actually about doing what is in accordance with the higher Will that is Natural Law. Not harming another or violating any of their rights is what we have the moral right to do. Once we violate the Natural Law rights of another being we drop in consciousness from being in alignment with the higher Will of Natural Law principles to doing our own personal egoic will. When we make-up our own right and wrong we can justify anything as morally correct. If you do an association with higher Will, creation, and Natural Law, they are all related. Higher Will is what is responsible for creation and the Universal Cosmic Natural Moral Law in the creation. Therefore aligning with the laws of creation which is Natural Law is aligning with and coming into harmony with higher Will. It is simple once we look at it. Similarly, we can substitute higher Self for higher Will, and this is all about self-realization which is alignment and harmonization of ourselves, as an individuated unit of consciousness, with the higher ordered principles (higher Will, higher Self, Natural Law) set forth to bring us that which we truly desire: freedom and peace. This is what the information already presented has been talking about, the forces of Love and Fear and the expressions of Natural Law. Our ignorance of Natural Law is a result of the ignorance of those who teach us in our lives. The blind lead the blind. The way out is for us to understand principles of truth like Natural Law. We can educate ourselves into learning aspects of truth about the reality we live in and ourselves. As each individuated unit of consciousness develops willpower and changes, the reality we co-create through the manifestations of our consciousness as we interact with the pre-existing reality, is also changed. The whole is a reflection of the smaller units. The way we choose to live is sourced from our thoughts, feelings and actions. The world we live in is a result of these manifestations of consciousness. If we choose to change our ways of living together, we can live in this reality, on earth, in a different way than we currently are. We need to act and behave differently and we will get different results. If we act in the right way that is in alignment with what we say we want to produce, then we will get it. Explaining these principles to others is not about being careful about someone’s sensibilities and false worldview. Explaining this is not about arrogance or ego. The way things are needs to be spoken about by more people, just as deception and lies are being propagated and accepted through television and other means. Principles of truth need to be propagated so that other people stop creating their own self-inflicted suffering. Information is out there if we choose to access it. Coming across something that makes more sense to explain reality requires us admitting we are wrong from time to time. We have been and will continue to be wrong at various times in life. Refusal to admit wrongdoing is a barrier to harmony with Natural Law. Some people have the hardest time admitting that they have accepted, bought into, and identified with a deceptive belief for much of their lives. Belief is more powerful than knowledge because people become very attached to what they think they know. Taking a belief away can be like taking a part of someone’s identity. As a result, many do not want to recognize and acknowledge the darkness in what we have become. Hidden occulted influences needs to be faced and made known. Many people reject this as well because they believe either this occulted thing could not have escaped their attention their whole lives or they don’t believe in it so it has no effect on their lives. This is a fallacy to think that someone needs to hold a particular belief for that belief to have an effect upon their lives. Ignorance is not bliss. What we don’t know does have an influence on our life. By facing reality we can heal. Propaganda is the propagation of an idea, either true or false, it doesn’t matter. The implicit use of the word is to characterize lies that are being spread. We currently have a false reality based in deception and lies being propagated by other minds for us to accept and buy into. It is what currently exists in reality, but only because we are running someone else’s program of life. Mind control over our lives is being implemented in the form of chemicals in our food and water, information through what we spend time on and pay attention to, and our belief in false concepts. Our attachment to believing we are right even when evidence is presented to demonstrate wrong is ego identification with what we currently accept. We have taken it into ourselves as part of our identity in some way. Ego identification is a great barrier to self-awareness and self-realization. Ego identification with false beliefs is mind control. Once we understand enough about ourselves and the nature of our being we will be less susceptible to the influence of mind control and its influence over our lives. Remaining attached to the illusory beliefs prevents us from realizing who we are, what we are capable of, and the many possibilities we can choose from to change our way of living. It is our choice to free ourselves or to continue to suffer by being the same way and doing the same things. 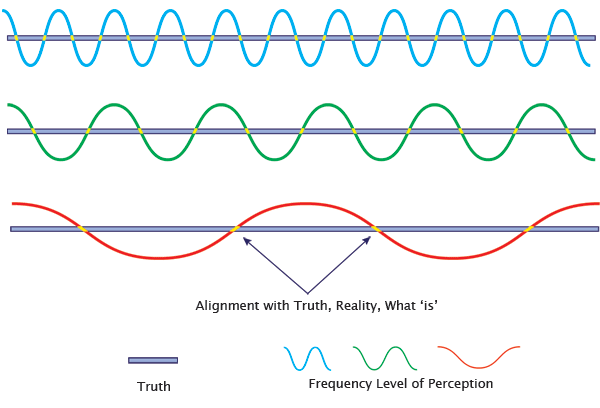 Aligning our perceptions with reality by seeing with real eyes provides us with the vision to perceive truth from falsehood. Accurately perceiving the truth is the solution to our self-inflicted suffering by providing us with the imagination to envision another way. If you cannot imagine change then there’s no way to bring that change into manifestation. Imagination is the aspect of thought that creates everything. Our imagination is being stifled so that we do not think and see the possibilities of how to get out of our current condition. Mind control is the control of thought and by extension imagination. If we cannot see another way or understand how it can be possible then we are void of possibilities to affect any real change. We then become comfortable accepting our current situation without doing anything about it and even refusing to do anything about it. With mind control in place in its various manifestations, a psychological symptom develops called dissociation. Dissociation is like cognitive dissonance, where certain thoughts, emotions, sensations or memories are compartmentalized due to them overwhelming the integrative capacity of the conscious mind. This results from an attachment to a fundamentally false worldview. We fight to keep that worldview standing because we associate some aspect of it with our self-concept, self-image, and identity. Kris, as I go through your website, I am amazed at what you have put together! You should be extremely proud of what you are accomplishing. I for one will be following closely and catching up on all you’ve done! You have taken Mark’s work to the next level, and I am sure he has a big smile on his face when he see’s what you are doing! I will be referencing you often on my site http://www.AreYouFuelforEvil.com Thank You buddy!